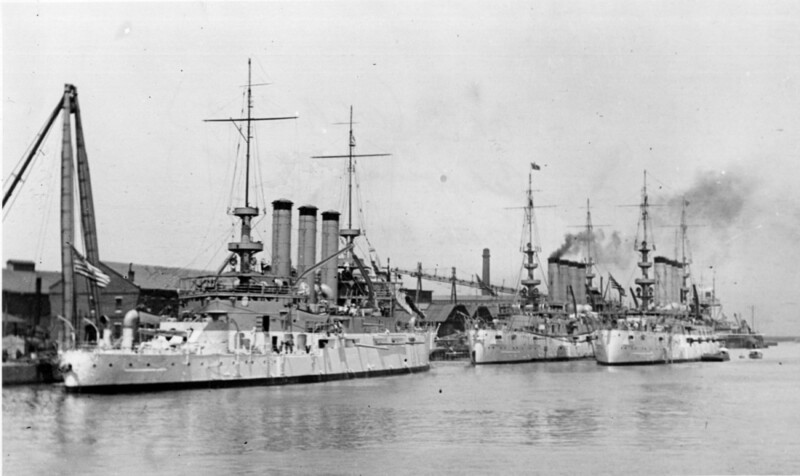 Launched 21 JUL 1904 by Union Iron Works, San Francisco, CA. 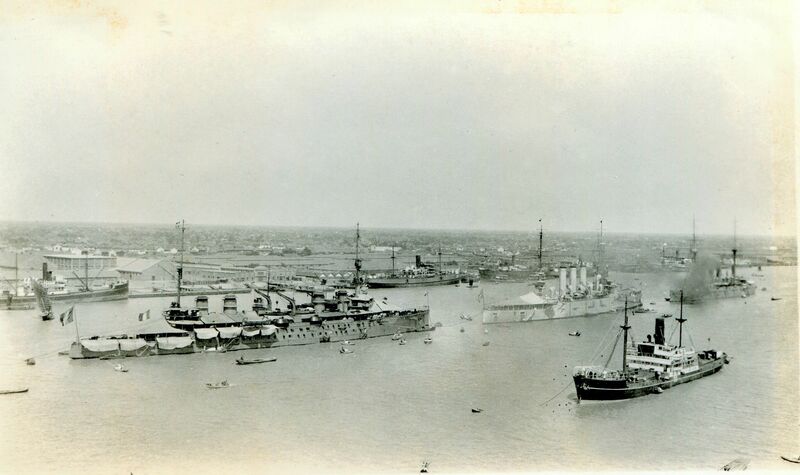 Fate: Sold for scrap on 11 February 1930 in accordance with the London Naval Treaty. 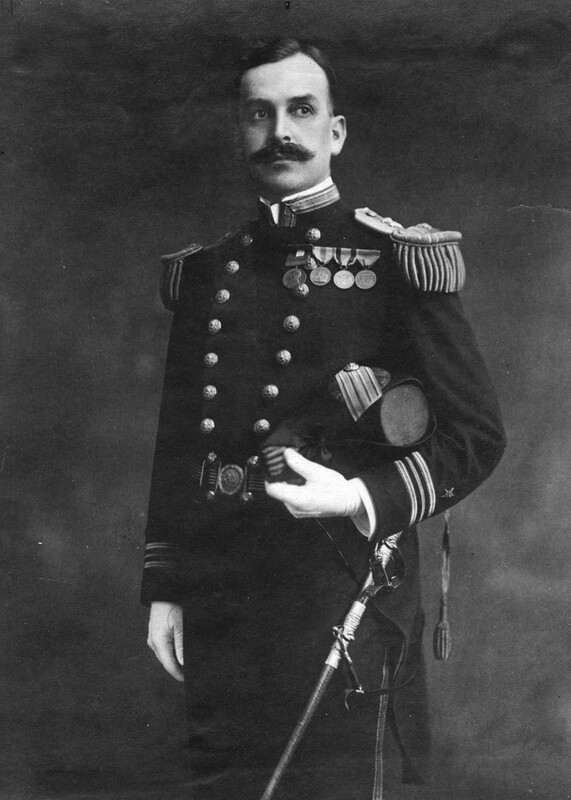 Subsequently sold to the Powell River Co., British Columbia, Canada to be used as a breakwater. 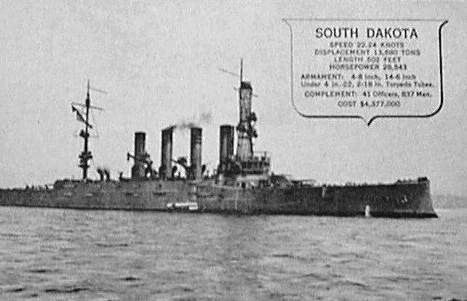 More information can be found at http://freepages.military.rootsweb.com/~cacunithistories/USS_South_Dakota.html. 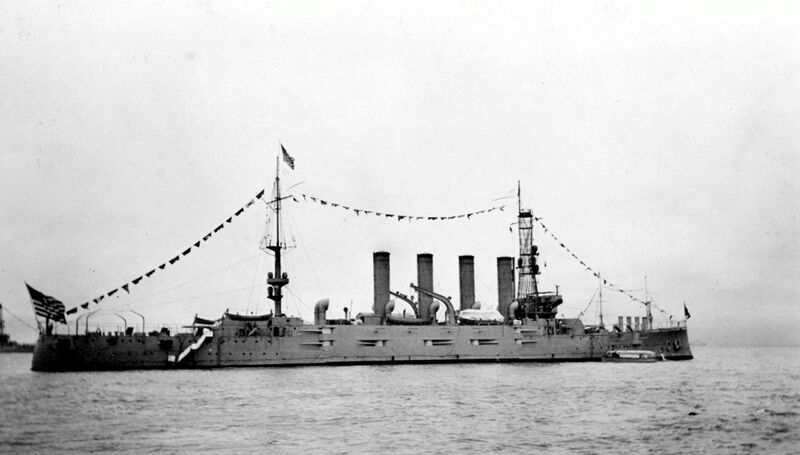 Starboard side view of USS Huron anchored at an unknown location sometime after her redesignation as CA 9 on 17 July 1920. 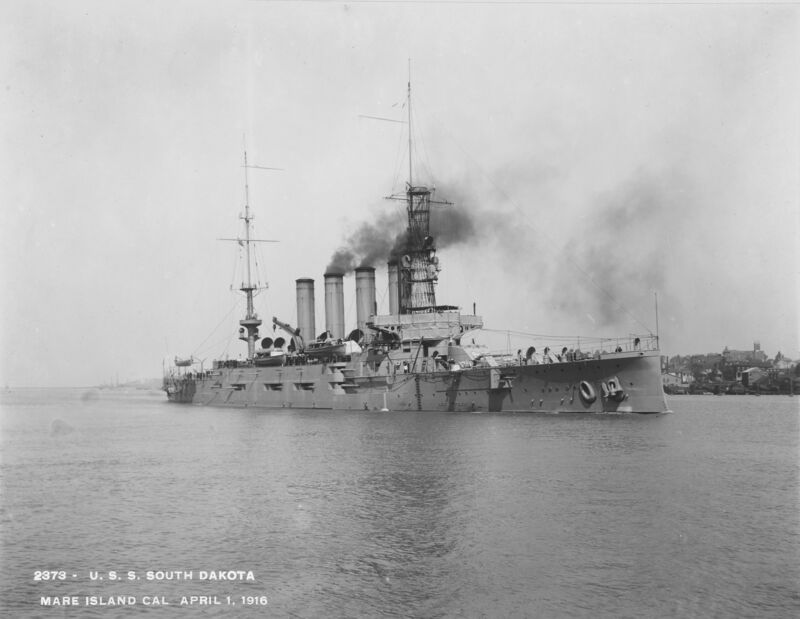 Bow view of USS South Dakota (Armored Cruiser No. 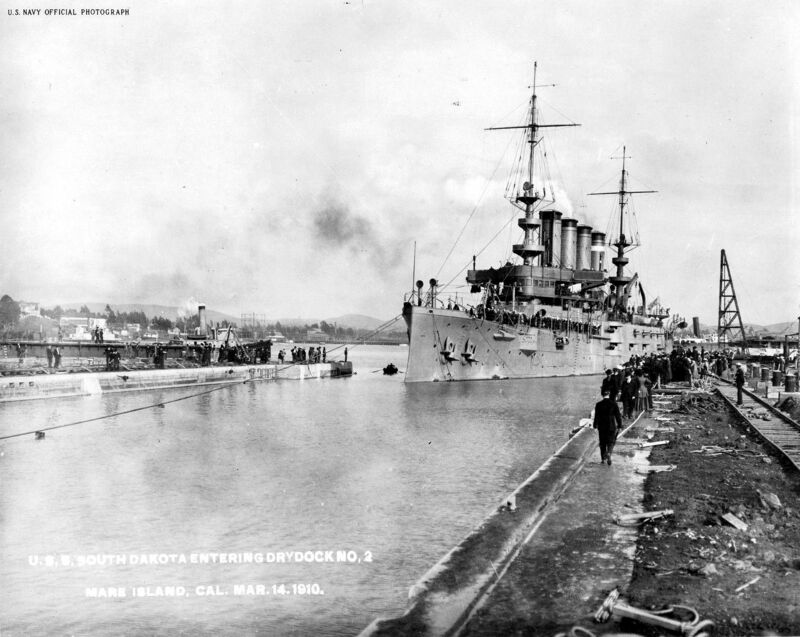 9) entering dry dock #2 at Mare Island on March 14, 1910. 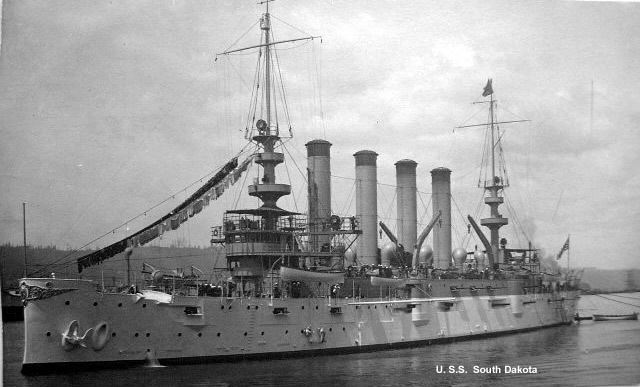 Color version of the bow view of USS South Dakota (Armored Cruiser No. 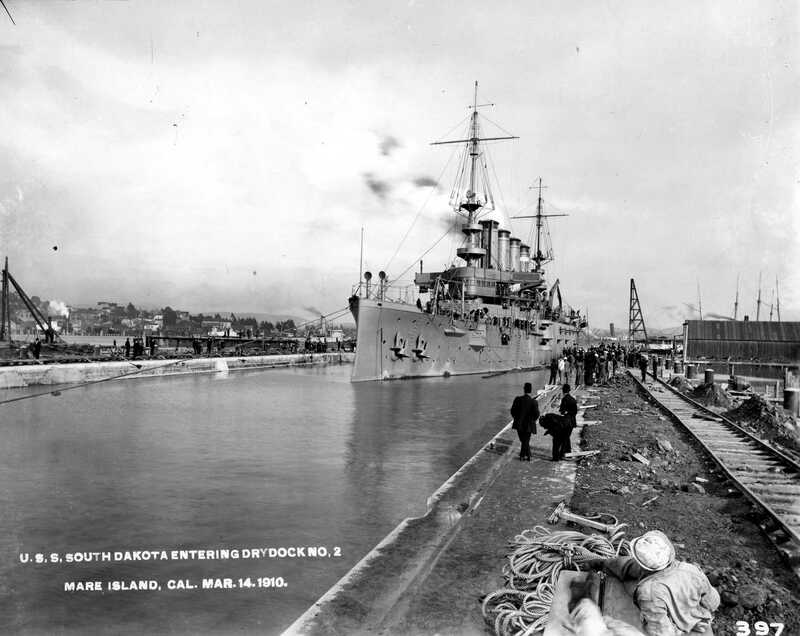 9) entering dry dock #2 at Mare Island on March 14, 1910. 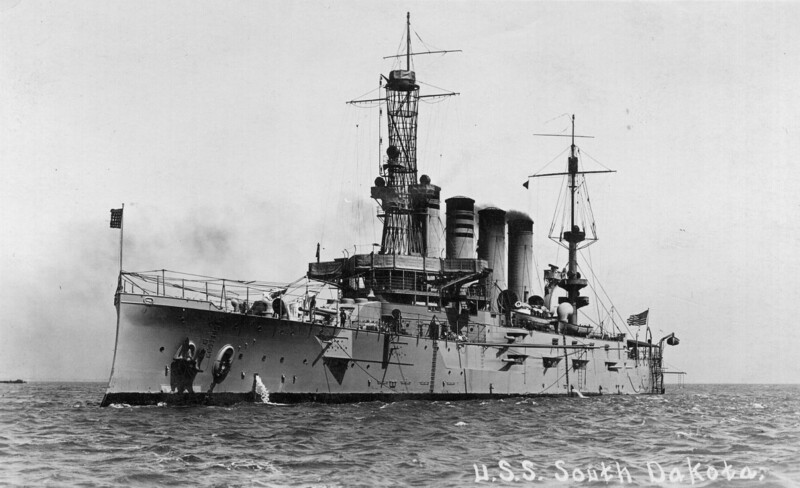 Stern view of USS South Dakota (Armored Cruiser No. 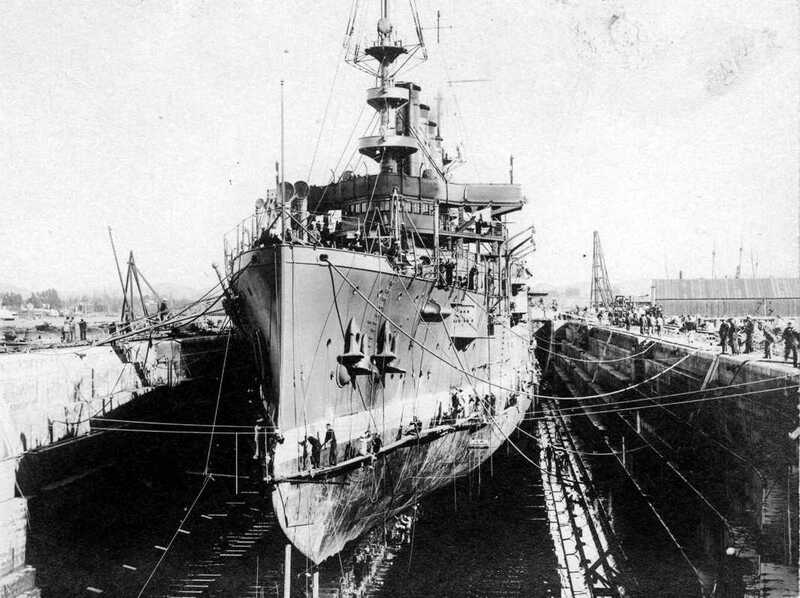 9) in dry dock #2 at Mare Island on March 15, 1910. 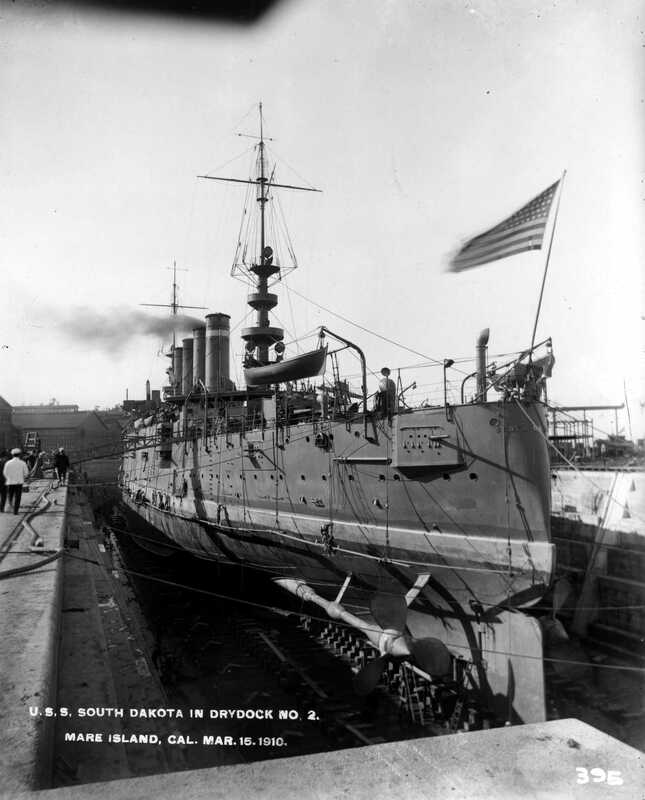 South Dakota was the first ship to dock in dry dock #2. 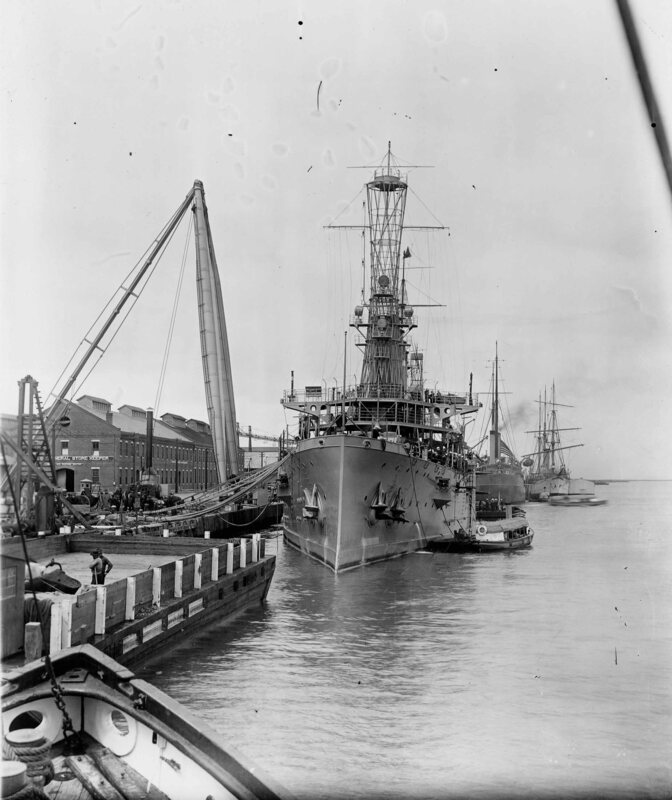 Bow view of USS South Dakota (Armored Cruiser No.9) in dry dock #2 at Mare Island on March 15, 1910. 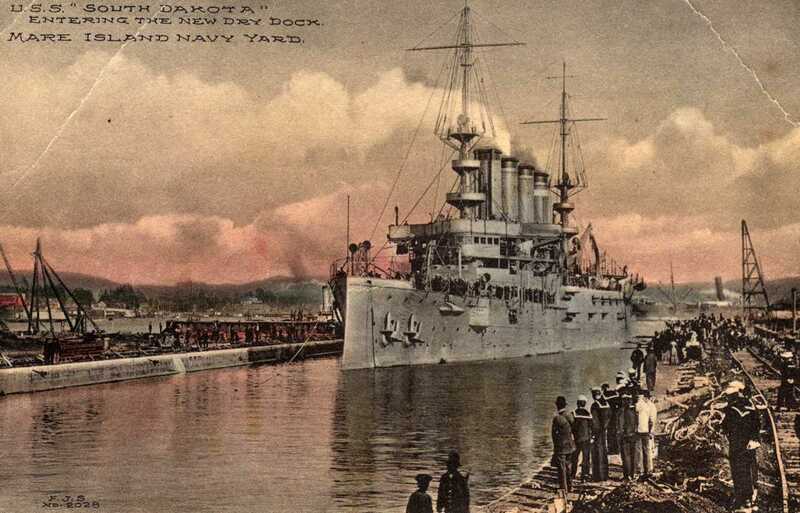 South Dakota was the first ship to dock in dry dock #2. 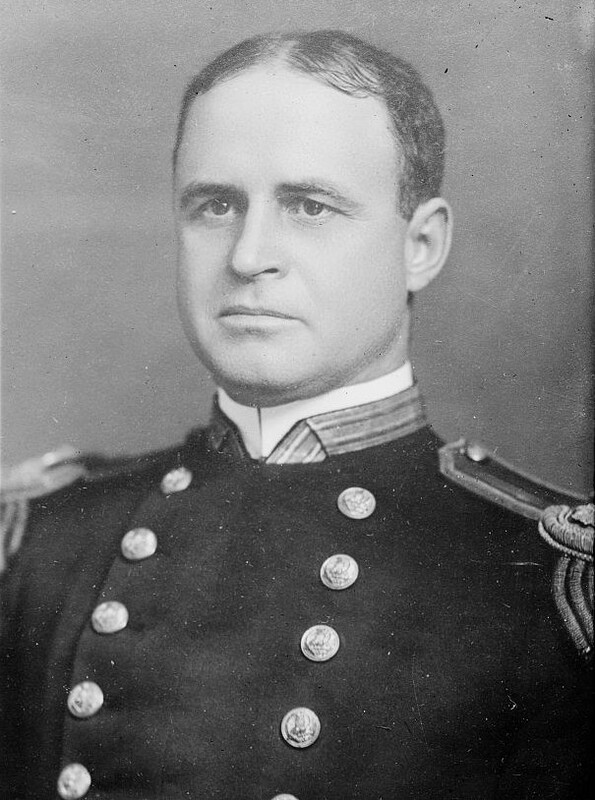 Starboard bow view while underway at Mare Island, California on 1 April 1916. 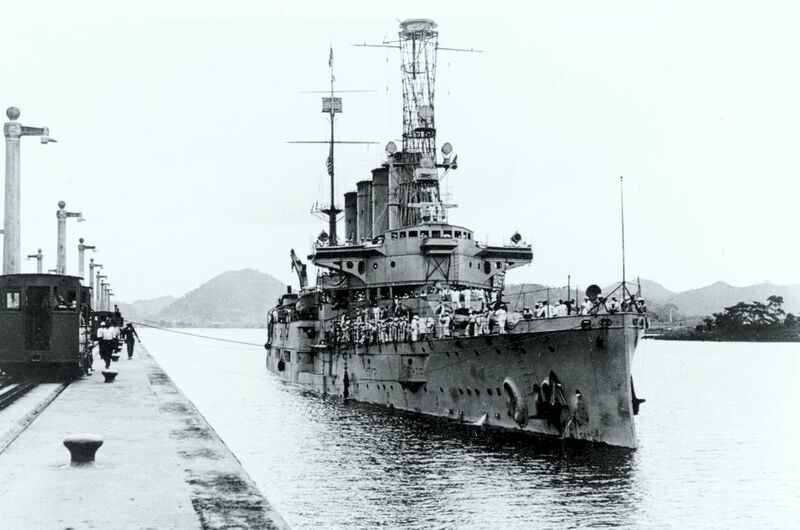 USS South Dakota (CA 9) en route to the Asiatic station in the Panama Canal, circa 1919. 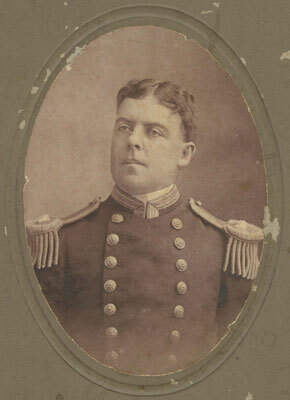 Gleaves Collection, Naval Historical Foundation, 1975. 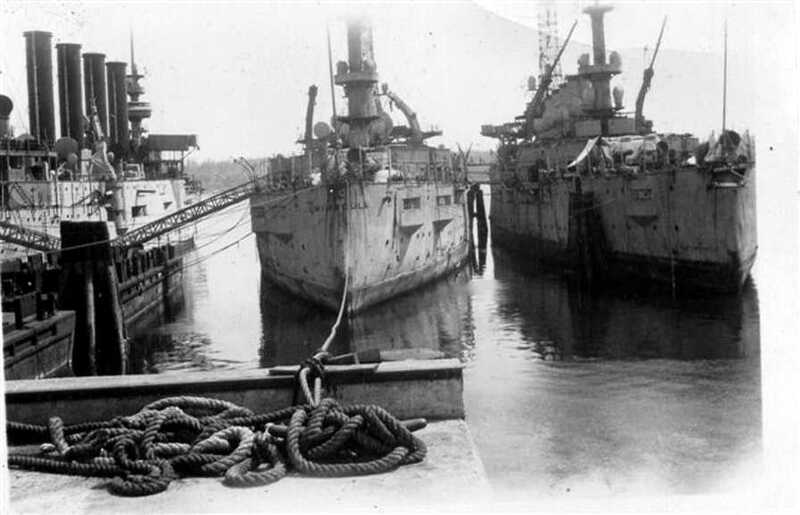 USS Huron (CA 9) tied to mooring buoy, 3 November 1923, location unknown. 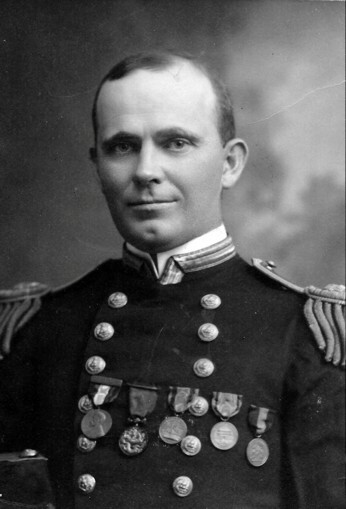 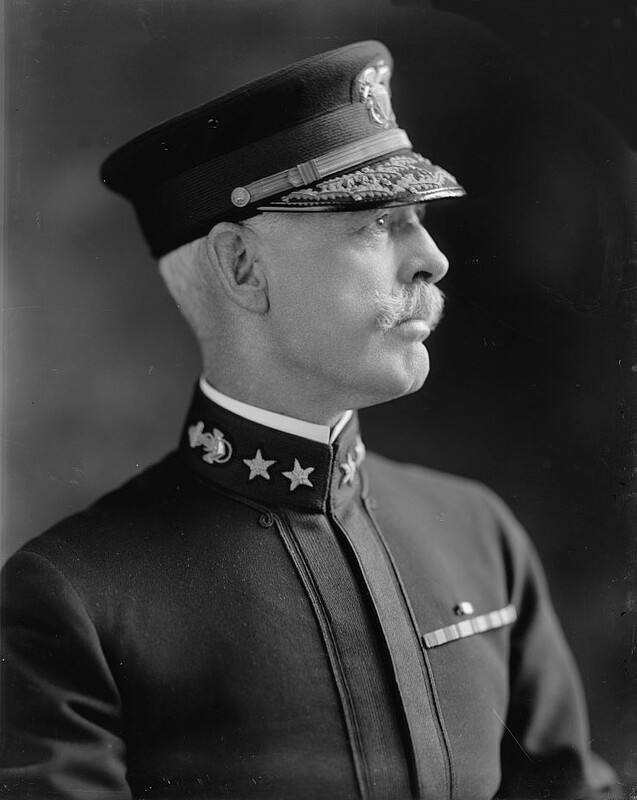 Photo courtesy Conway Picture Library.